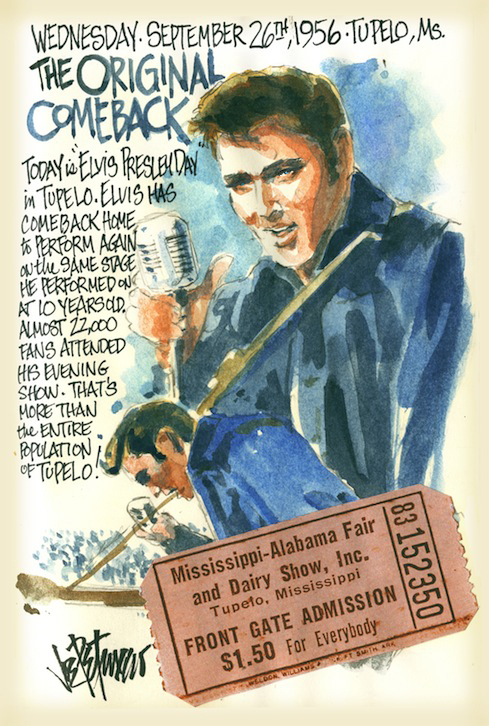 This entry was posted on Wednesday, September 26th, 2012 at 7:10 am	and tagged with dancing with the stars, Elvis, Elvis Presley, Joe Petruccio, My Elvis Journal, myelvisjournal, Petruccio, september 26, Sketchbook, sons of anarchy, Tupelo, USA and posted in The King of Rock n Roll. You can follow any responses to this entry through the RSS 2.0 feed. Great cover of a huge event in Rock & Roll History Joe! Thanks!